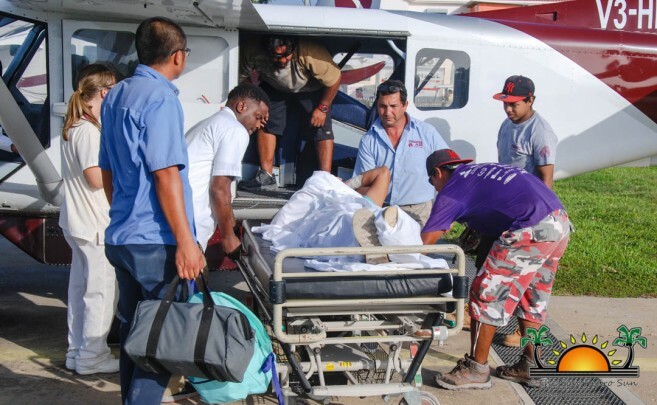 When medical emergencies occur during the day a Wings of Hope airplane flies to the island to transport the patient back to Belize City. It is alleged that in this case, the Ministry of Health subsidizes most of the cost. But during an emergency evacuation in the late hours of the night, the cost is not subsidized by this Ministry. According to Chief Executive Officer (CEO) at Tropic Air, Steve Schulte, the cost is not only associated with the charter to transport the patient to the city, as he explained that there are other costs attached to the operation. After the service is requested by the attending physician at the Polyclinic or an accountable person, additional personnel from the airline are required to prepare the emergency flight. “This will entail getting the crew to our facilities at that time to work on the logistics of the emergency evacuation which requires a 30-minute lead time for preparation,” said Schulte. “This also means that these employees will need to be paid overtime, adding to the expenses.” Schulte also explained that because the service is not ‘Air Ambulance’ due to the fact that they only offer a ‘Passenger Service,’ the patient’s condition should be stabilized before the flight. The attending physician must accompany the patient along with an immediate family member. According to him, in some cases when the airplane returns to the island with no passengers, it makes the charter a roundtrip, thus doubling the expenses. In speaking about the total amount of expense taken on by the airline, the CEO could not come up with a fixed amount. “Perhaps it might be an even amount,” said Schulte. “We are part of the community, thus, we provide this service to them. Every time we provide a medical evacuation, we try to recover the cost in order to continue providing such service.” Based on the initial cost of nearly $5,000 BZ, the Polyclinic contributes towards the bill and the patient or the family sometimes make arrangements to make installments in order to cover their portion. However, Tropic Air understands that in some cases the recipients cannot afford to pay, thus, there is no exact amount as to how much the airline absorbs in losses. The airline pointed out that they are not subsidized by the Government and that they only get payments directly from the GOB whenever they request a medical evacuation. Other than that, when it comes to private emergencies is up to the company to seek the recovery of some of the costs. The company also believes that the only way such expenses to all parties involved could be avoided is if the island would have a proper emergency medical facility. The administrator at the Polyclinic, Eric Najarro stated that their contribution towards the emergency evacuation bills is already included in the budget at their central headquarters on the mainland. Although he acknowledges that the island’s medical center pays for some of the expense, he could not tell what the exact amount is. The idea of having a better-equipped Polyclinic to avoid chartering airplanes to the City was acknowledged by him as well, but he told The Sun that it is a difficult topic to discuss. “By providing the adequate services to eliminate the medical evacuations, we will need far more medical equipment at our facility, plus trained medical staff, especially for surgeries when it comes to shooting incidents,” he said. “To accommodate that the building of a hospital will be needed, because here at the clinic we do not have the space for such expansion.” Najarro continued by stating that they are working to continue improving their services in order to provide better attention to their patients. However, due to the lack of resources both human and material, for the time being, they will continue depending on the air evacuations until a hospital is built on the island. According to Najarro, the Polyclinic recorded 76 emergency air evacuations in 2017. When doing the math, based on $5,000 per evacuation, this adds up to $380,000 a year spent on emergency healthcare. The parties involved see the unnecessary expense avoidable with a one-time investment by respective governmental authorities. They said that it will not only benefit islanders, but also the thousands of visitors the island gets on an annual basis. A few of the families on the island that have benefitted from the service thank Tropic Air and the Polyclinic for their service and professionalism. They urge the Government to take the matter seriously as it is past time for the island to be given a proper medical facility. “We cannot continue depending on emergencies evacuations when someone’s life is at risk. We need a hospital or the clinic to be upgraded. It is a shame that our island is the prime tourism destination and we do not have a good medical center! It’s a shame on our Government,” an unhappy island resident said.